The nobility consists of the gentlemen of the peerage, dukes, marquesses, earls, viscounts and barons, with a rare peeress in her own right. When they marry, their wife rises from a commoner to that of a peeress when she weds, being one with the husband. All others are commoners, even the children of peers. While they were considered aristocratic and might hold a courtesy title, they were legally commoners. It is only when a peer dies that the eldest son inherits his title and becomes noble. The aristocracy is comprised of the nobility and gentry. Gentry is a word that implies landed gentry, but actually the essential point that admits a man to this strata of society is his qualification as a gentleman. A man may be born a gentleman or he may become one through his own merits and hand that title on to his sons. It's difficult to define the term, but I've read it as a "man who occupies a certain place in society through birth, education, merit, wealth, or rank, and also on account of his values, his manners, his courtesy, his magnanimity, and his sense of honor. He's someone well-born, well-bred, and entitled to bear arms, as well as having kindness, tender-heartedness, and amiability." In the early 19th century it was impossible to cut a figure without intellectual qualities and the celebrated dandies were far from being mere. Far too may of the peers we encounter in Regency novels sound more American than British. A true aristocrat should have the accent that comes from attending the exclusive schools, as well as inflections of the voice, the words used, the degree of interest one affects in subjects of conversation. Regarding the aristocrat Nancy Mitford summed it up thusly, "Dinner is eaten in the evening, luncheon is at noontime, port is passed to the left, never lifted from the table surface. (One slides it!) Stilton cheese is always to be sliced, never scooped. When it comes to tea and coffee, the cream and sugar go into the cup before the coffee, but the milk is poured into the tea after." Writing paper is preferred to note paper. Using a serviette marks you as not of the Upper Class, who would say table napkin. They favor the Guards to any other division of the army, with the Grenadiers preferred. Also, the nobility tends to stick to their own ranks when it comes to choosing mates. The Dukes are fairly closely related to one another, cousin marriages being somewhat common. While there are occasional marriages out of the class, that usually occurs to obtain an heiress. One danger of inbreeding is infertility. On the other hand it has given us those tall, slim, elegant men with a handsome face, longish nose, wavy hair, blue eyes. The books I consulted say a Duke is apt to be snobbish, remote and awesome, they brook no familiarity or lack of respect. The members of the lower peerage are no less demanding of the deference due their position in life. To summarize these attributes of autocratic character: the basic qualities are toughness and adaptability, self-confidence and self-control, love of the country and space, and a dislike of affectation. They are inclined to be tenacious and modest. A less attractive trait is an excessive fondness for money--although this certainly is practical. It's , as well, when you consider the size of most of establishments kept by the upper gentry and nobility. The duke and the marquess usually had considerable land as well as wealth. To be classed in the wealthier group a landowner would have to own upwards of 10,000 acres. Estates of over 100,000 acres were not unknown. There was somewhat of a gap between the marquis and the earl, both in land holdings and wealth. Earls, viscounts, and barons trailed behind. Someone asked me about eligibility regarding a peer whose parentage is in question. If a wife is so indiscreet as to have an affair while husband is absent, it is up to him to accept or reject the child. Many children of questionable parentage were accepted by husbands. Before a man succeeds to a title, his claim is properly checked. It is highly unlikely that once the peer is accepted it would be overturned. IF his father accepted him as his son, regardless of any charges, that was it. A case in point is Lord Melbourne. If someone believed there to be a flaw in a marriage, they would have to bring a court case against the couple. If they have lived together as husband and wife and been accepted as such, even if there could be a question as to the validity of the marriage, the judge would likely rule in the couple's favor. What is the ceremony in admitting a new peer? The order is briefly as follows: The Herald enters bare-headed and attired in his tabard, holding the patent and writ of summons; the new peer himself follows, between two nobles of his own degree, all three being robed in red according to rank. The new accession makes his obeisance to the Lord Chancellor, who enjoins that his credentials shall be read. The oaths are next administered, the writ handed for keeping by the clerk of the House, and the new peer conducted to his seat, from which he forthwith rises again and returns less formally to the Lord Chancellor to receive his congratulations. The Lord Chancellor is seated upon a large red sack, the Woolsack that actually contains samples of wool from all over England. In 1813 the Lord Chancellor was Lord Eldon. 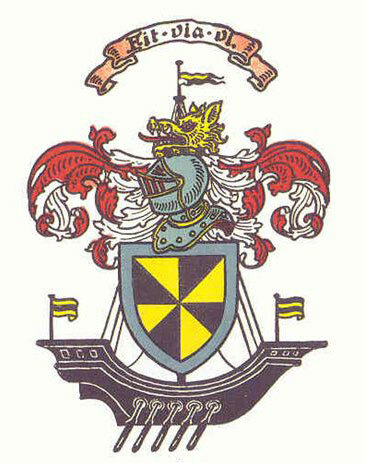 By the way, a man consulted with the College of Arms and together they decided on the title as well as the coat of arms. A gentleman who has inherited a peerage need only to enter the chamber, step forward and shake hands with the Lord Chancellor, then take his place in the assembly. This can take place perhaps 2 weeks following the death of his parent. In addition to the costs of his regalia ~ the robe and coronet ~ there were fees to pay. Upon the creation of a peer, a duke paid £350. 3 8, a marquess £272 10 2. The new earl paid £ 203 5 4, a viscount £159 7 6 and a baron £150 5 4. Inheriting a peerage was lest costly. The duke paid £27 6, a marquess £19 6 8, an earl ~ £14, a viscount, 12, a bishop, 14, and a baron 9. No minors could take a seat in the House of Lords, nor could a bankrupt or one declared insane. A peer cannot be excluded for living a disgraceful life. Before 1868 a peer could vote by proxy. He had the right to be hanged by a silken rope should he be condemned to hanging. The accused had a right to a trial by jury of their peers, except for a peeress in her own right, who, if charged with treason or a felony, is tried by an ordinary jury, not lords. Please note that a peer, unlike a commoner, could not be arrested for debt, made bankrupt, or have his estates sequestered - that is, to have the income from his estates placed in the hands of his creditors. He could defraud his creditors with impunity. A member of parliament could not be arrested and jailed for civil offences 40 days before and 40 days following the sitting of Parliament. A peer could never be jailed for a civil offense. One heir of a peer imprisoned for debt was released the day his father died. Most MPs who feared some action disappeared into the mists of the Scottish highlands to hunt for grouse and so were seldom brought to trial during that "open" time period. He paid less stamp duty and taxes than a commoner, and on the turnpike he paid for lighter tolls. He sent and received letters postage free, and usually franked mail for friends and relatives. Whereas you might knock down a man and the justice required you to pay no more than a few shillings, hitting a peer was nearly as bad as murder. Note that it was a matter of honor to pay one?s losses at gaming, even if it meant losing everything one had and impoverishing a family and the estate. At every new parliament the oaths must be taken afresh by each peer before he can resume his seat. In 1640 the lords decided that a peer could not relinquish his peerage. Once blood was ennobled, it remained that way. He cannot extinguish a hereditary honor created by the Crown - but equally, he cannot be compelled to use it. Because a person inherited the title, it did not necessarily hold that he would inherit the land and money. An inheritance would go to a collateral of the holder - the brother of the now dead holder. "A kinsman of the whole blood shall come before the same degree of half-blood. "A relative, however nearly connected in blood with the purchaser through one only and not both parents, could never inherit ~ a half-brother, for example, while relatives of the whole blood, however distant, might inherit to the exclusion of nearer relative of the half-blood." This was changed by the inheritance act in William IV. There is a peculiarity of inheritance in titles that is termed abeyance. It is a state of suspension, temporary non-existence or inactivity, a dormant or latent condition able to be revived at any time: the title is without a claimant or owner. Under abeyance, the "Limitations of remainder" is where a certain title is open to "Heirs general" or the nearest relative (female included) unless the term is ?Heirs male general." Or a special remainder" may open a succession to any relative who may be named, particularly by the crown. But the ordinary law is that a title can only pass to a direct successor of some former bearer of the same - son, grandson, or brother of the Peer. In regard to abeyance, there is a quirk whereby one title held by a peer will lapse - say the earldom lapsed - but the Barony passed on to his relative. It is possible the earldom might be called out of abeyance at some future date, but unlikely. Most often, it became extinct. The marquesses originally derived their titles from the land of the marches, the land along the borders of England, particularly Wales. Eventually they ran out of borders and the marquess could choose a title that came from other land, with the help of the Herald?s office - where all titles must be finalized. All have of in their title but one - Marquess Cornwallis. Originally the earls derived their title as the earl of a shire or shire town. Later the titles came from places of all kinds and more recently from surnames. Most earls have the word of included in their title: The Earl of Whitby for example. In 1812 there were 94 earls, 20 of whom did not have of in their title. Those titles either used the family name or some other non-place name. The title of viscount was thought to be rather alien to England, sounding so very French and it wasn?t terribly popular for some time. Actually, it is a description of an ancient English sheriff. George IV created a number of viscounts in appreciation for deeds done for the crown. Baronies by writ were the earliest and are somewhat rare. They went to the heirs general of the grantee - hence allowing for females to inherit. Baronies by patent may take any shape the crown chooses - the most common being heirs-male of the body of the grantee. In 1873 it was found that only 7,000 people held 75% of the land surface of Great Britain, a witness to the immense holdings of the peerage considering that the population was around 35 million at the time. Punitive taxation (death duties and the capital transfer tax) has somewhat diminished this figure. But the fact remains that the higher the title, the more wealth and land a man possesses. The son and heir apparent of a Duke, Marquess, or Earl may use one of his father's peerage titles by courtesy providing it is of a lesser grade than that used by his father. The younger sons of a Duke or Marquess had the courtesy style of 'Lord' before christian name and surname. The younger sons of an Earl and all sons of a Viscount or Baron have the courtesy style of The Hon, before christian name and surname. Courtesy titles can be bestowed on the eldest son, also upon grandsons, but never upon any collateral relative, even a brother (son of previous peer) who may be a presumptive heir. Courtesy lords could not take a seat in Lords, but a number ran for and entered the House of Commons. It is possible for a grandson upon inheriting his grandfather's title to petition the crown on behalf of his uncles for the dignities they missed when their brother died before inheriting to be granted those styles. Also note that a duke's eldest son might have a courtesy title of viscount ~ if that is all his father has in extra titles, but he would have the rank to the degree of a marquess. Many of the higher peers hold 3 or 4 titles. The daughters of a Duke, Marquis, or Earl have the courtesy style of Lady before christian name and surname. The daughters of a Viscount or Baron have the courtesy style of 'The Hon." before christian name and surname. This is only used on formal invitations and the like, not in conversation or in introductions. Should a daughter of a peer marry, she assumes the husband?s surname unless she marries a peer or courtesy lord. So if Lady Mary White weds Charles Black, is Lady Mary Black. No illegitimate child could inherit a title. There was no such thing as legal adoption at that time, although a person might be willed an estate as well as informally adopted into a family. He could not inherit any title, however, not being of the blood of the peer, nor could he have a coat of arms.